Bring your friends and family together to celebrate diversity – through music, film, dance and sharing cultural togetherness. Enjoy Harmony Day activities with your loved ones – and youchamp it! Let’s get together to be inclusive, respect each other and belong when you care, you share, youchamp. youchamp is all about harmony and inspiring togetherness. Use youchamp to promote the importance of cultural diversity with everybody you know. Encourage them to join or create a youchamp group so that they can encourage sharing and caring and keep everything happy. 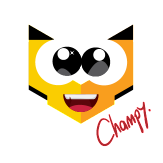 Let youchamp help you spread harmony!